State-run Ceylon Petroleum Corporation (CPC) will venture into supplying bulk bitumen from next month and has the capacity to cater to 50% of country’s demand, a top official confirmed. “The option of venturing into bulk bitumen was on the cards of the new management. We have been looking at it for a while and now we have put everything together. 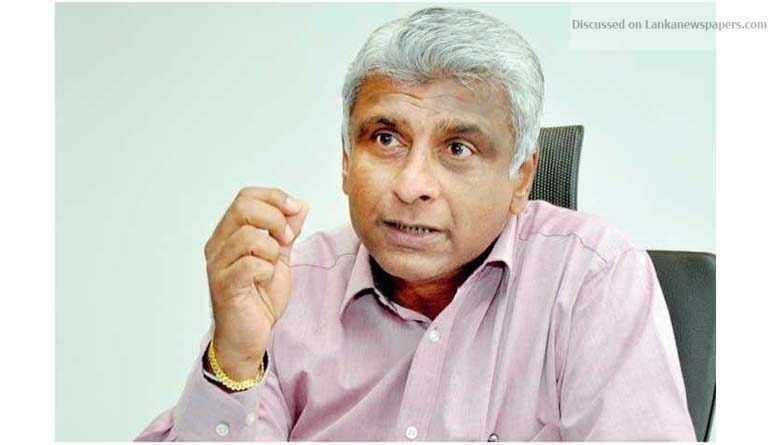 By mid-June we are going to produce bulk bitumen from our refinery at Sapugaskanda, which will have a capacity to produce 5,000 MTs per month,” CPC Chairman Dhammika Ranatunga told Daily FT. He said production would be carried out from the existing infrastructure facilities at the Sapugaskanda refinery and that there was no major investment as such. “Bitumen is a by-product of heavy crude oil during the refining process, so there is no major investment gone into this project. We are utilising the existing infrastructure to cater to this new business segment. In another six months to a year down the road, we are going to supply bulk bitumen comprising 50% of country’s requirement though our refinery,” he stressed. The corporation will provide bulk bitumen to the Road Development Authority (RDA) and private contractors in the future. With this new venture, Ranatunga expressed confidence that it would provide improved margins for the CPC at this point, adding that they would be in a better position to compete with the people who were already in the bitumen business. In addition to bitumen, he said that CPC was looking at a plethora of strategic business plans to turn the performance of the debt-ridden entity around. “There are few business ventures we are looking at this point such as refinery and bunkering, but we are not going to take haphazard decisions on them. We need to make sure due diligence is done before we embark on them,” he added. Tipping that Trincomalee is a place where Sri Lanka can invest in to do bunkering, Ranatunga said as there was no financial capacity for the country to step in, they were looking at a partnership on a Build-Operate-Transfer (BOT) basis, as it was the only way CPC could work on those projects according to its Act.